The Controlled Release Fertilizers Market are classified on the basis of product type, application and geography. 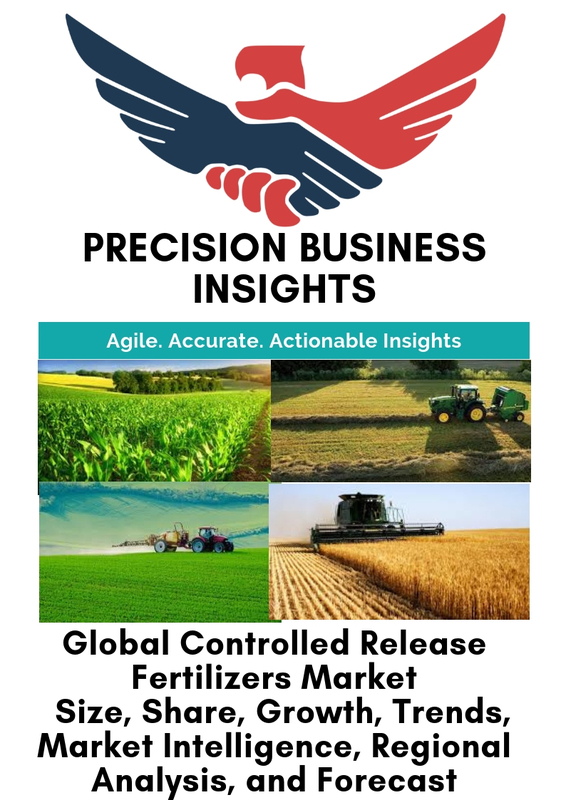 Controlled Release Fertilizers Market are highly used in the cultivation of pulses, cereals, grains, fruits and vegetable and oilseeds. Controlled release fertilizers can also be used for growing ornamental and turf plants. Most farmers use Controlled release fertilizers in grains and cereals crops. 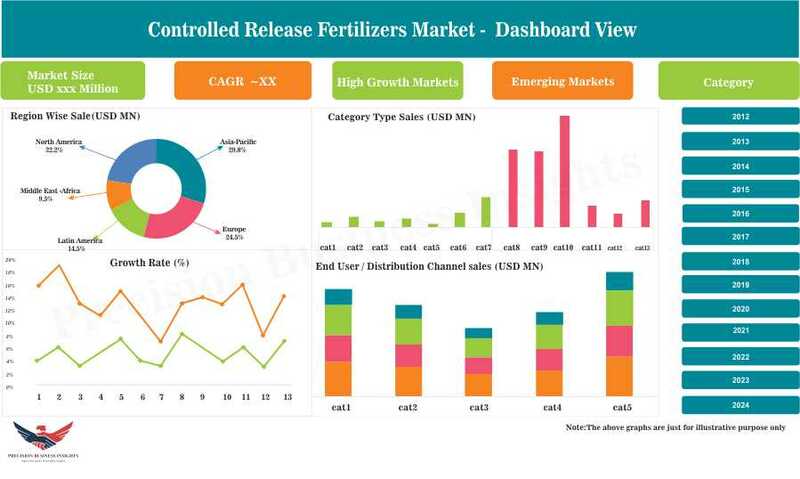 Market players of controlled-release fertilizers are adopting various growth strategies like acquisitions, new product launches, collaborations and geographical expansions and investments in order gain the upper hand in the controlled release fertilizers market. On the basis of geographical regions, controlled release fertilizers market is classified as into five key regions as Europe, Asia- Pacific, North America, Middle East & Africa and Latin America. U.S. controlled release fertilizers market is expected to dominate the regional revenue share owing to the adoption of sophisticated agriculture technologies and inclination towards novel cultivation technologies in the production of cereals and grains. 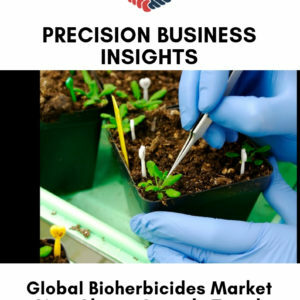 Europe is the largest producer of Fruits and Vegetables, hence, it is anticipated to witness healthy growth in controlled release fertilizers market. Asia-Pacific region is expected to be fastest-growing market due to the shortage of arable land in countries in APAC particularly in developing countries such as India, China. In 2015 August, Haifa group has introduced a new controlled release fertilizer which is coated urea granule that offers a continuous supply of nitrogen for 16 months. In August 2014, Koch Agronomic Services acquired Turf and Ornamental (T&O) assets, brands and product technologies of Agrium Advanced Technologies.